To prevent the feelings of irritability and exhaustion as well as migraines and fainting conditions you need a healthy dose of sleep on a regular basis. Here are 6 tips on how to improve the quality of your rest. Even the smallest amount of light can be an obstacle between you and a good night’s rest. If you are not very sensitive, you might get away with dimming them and leaving them on; otherwise, you might need to turn the lamp off completely. Do it at least half an hour before you decide to go to sleep. We also suggest avoiding using your phone. The blue light from the screen will distract your brain from sleep. It will make you stay awake for a longer period of time and can even cause insomnia. Custom your bed to your own needs. There is no distinctive rule on the firmness or the softness of the mattress you should use. Largely it depends on your personal preferences. Choose the bed and the bedding suitable for you and your personal tastes. Your body will have better chances to fall asleep if the overall temperature in your room is on the lower side. It does not mean you need to freeze yourself to death to get a good night’s rest. Turn your AC down to a comfortable setting or switch on a fan. You can also use a bottle filled with cold water to cool yourself off. Block the alien noises if it is possible. Traffic, noisy passer-bys, screaming neighbors, barking dogs, and meowing cats can be extremely distracting. There are several ways you can go about it. You can either try to reduce, to eliminate, or to mask the sound. Start with closing your windows if you can. Although it’s effectiveness, this trick is not always useful. Some people need fresh air to fall asleep; in this case, you’ll have to either use earmuffs or try to overpower the noise. Some sounds are proven to have a calming effect on your psyche. Download a couple of tracks, which can help you to relax. It can be a slow song, an ambient, the sound of the wind, rain, ocean, birds, or animals. Whatever rocks your boat, honey. Put it on when going to bed and relax away! Try to relax before going to sleep. Meditation, yoga, hot baths – these are some of the ways you can soothe your body and mind. Stick to calming herbs and infuse a tasty and effective brew. Drink a cup of it before getting in your bed. You can also incorporate essential oils into your routine. Put a couple of drops of the lavender oil into your bath or into the bowl of water near your bed. This way you can also lower your stress levels and reduce the risk of getting headaches. 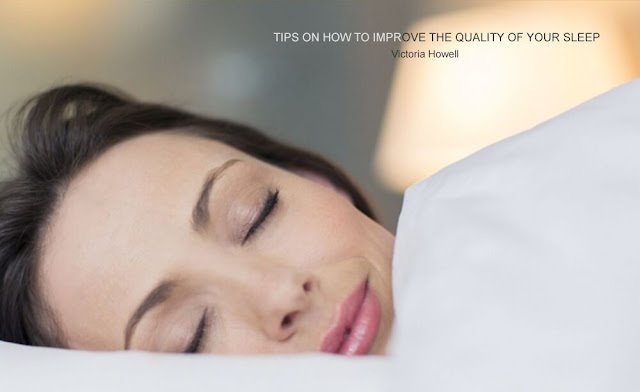 Follow these six simple steps from http://www.nyneurologists.com/ if you want to improve the quality of your sleep!